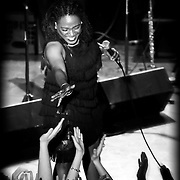 Live concert photos of Sharon Jones & The Dap Kings. Images © Jennifer Rondinelli Reilly. All rights reserved. No use without permission. Contact me for any reuse or licensing inquiries. Concert photos of Sharon Jones & The Dap Kings performing live at The Pabst Theater in Milwaukee, WI on 5/22/10. Photos © Jennifer Rondinelli Reilly. All rights reserved. No use without permission. Contact me for any reuse or licensing inquiries. 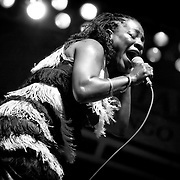 Concert photos of Sharon Jones & The Dap Kings live at Summerfest 2011 in Milwaukee, WI. Photos by Jennifer Rondinelli Reilly. All Rights Reserved. No use without permission.